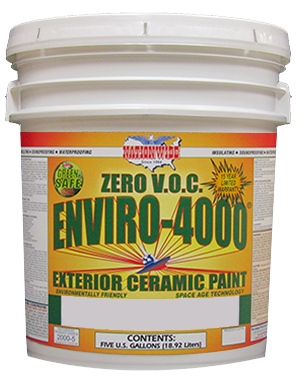 ENVIRO-4000® is a low odor, Zero V.O.C. 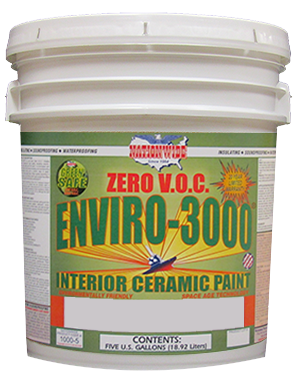 (Volatile Organic Compound), high quality, insulating ceramic, exterior house and trim Flat Paint. 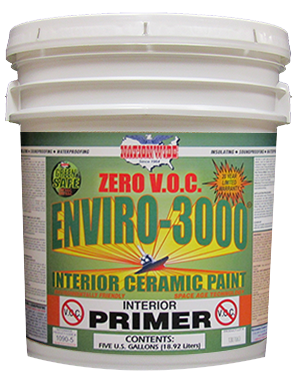 It is formulated with ceramic fillers that provide insulating and soundproofing characteristics along with a uniform, easy to apply, excellent hiding latex finish. 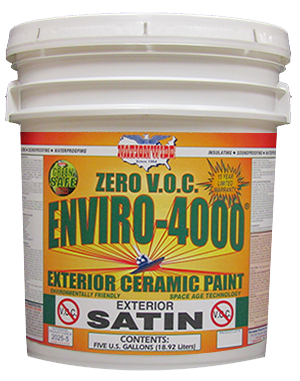 When applied according to specifications, the ENVIRO-4000® paint product line offers a 15 YEAR LIMITED MATERIAL WARRANTY.